I woke up this morning to find this sign placed in our yard. I'm not sure what it refers to or who put the sign there. 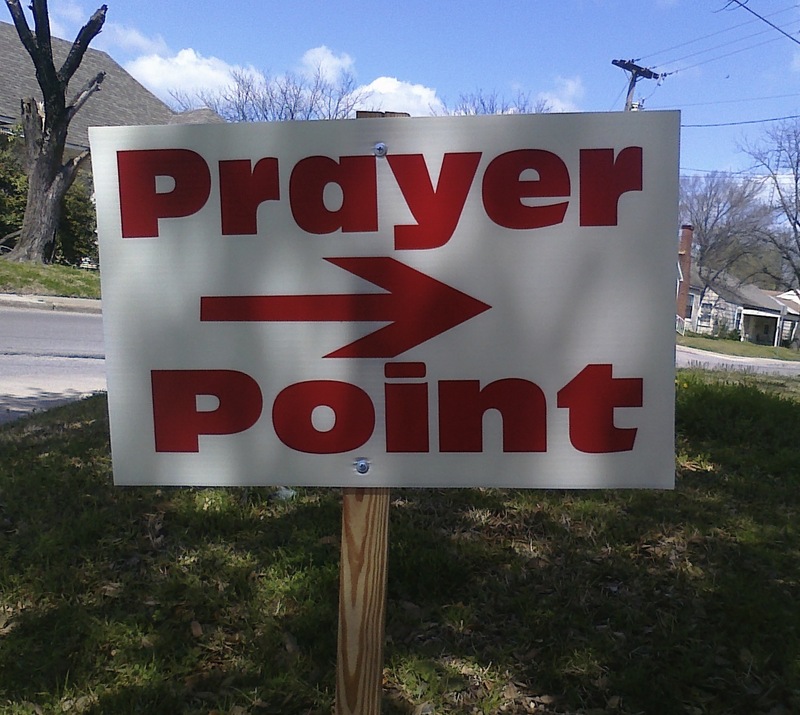 What exactly is a "prayer point"? I would assume it is a notion, idea, or theological premise, but usually a sign refers to an activity or something spatially based. Is "prayer point" a specific location? An event? A faith-based safe haven in this den of iniquity? All I know is that the person who put the sign in our yard better pray I don't find out who s/he is.